While candles are lovely their fragrance is often fleeting. I find the full-bodied aroma and wonderful atmosphere only lasts until you blow out the flame; it's never enough to fragrance your entire home all day. 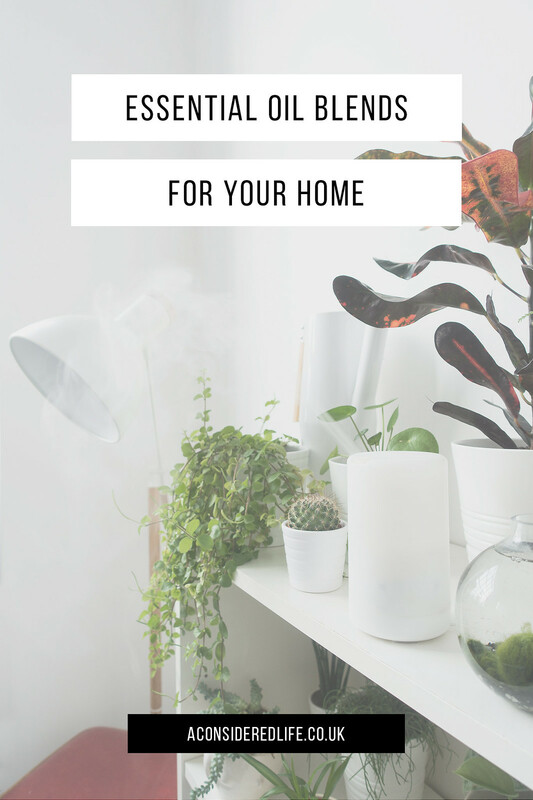 Investing in an essential oil diffuser was one of the best things I did for my home. I'm sensitive to smells so having a home that is beautifully fragranced is something I prioritise. Another bonus diffusers have over candles is they are cost-effective and the oils can be mixed into endless combinations creating mood-boosting blends. The fragrance they produce disperses further and is longer lasting, and the natural oils are more environmentally-friendly. While quality candles can cost upwards of £20 and burn for only 50 or so hours; a few bottles of essential oils can be purchased for around £10 and can be blended into countless combinations. The following are my favourite essential oil blends for every corner of your home. I always keep these essential oils in my home; they're classic oils that blend well together in various combinations. 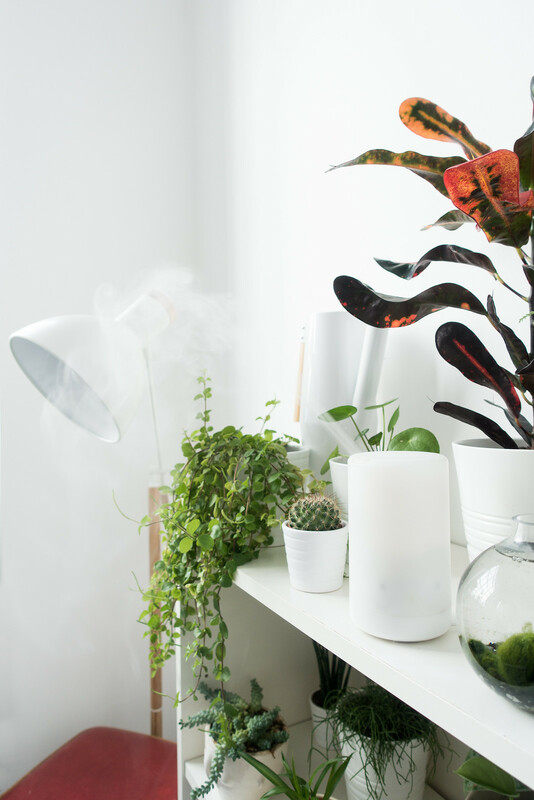 While you might want to invest in some more usual oils or your favourite scents, these are the essential oils that will make fragrancing your home easy - especially if you're unsure about how to mix them. The entranceway to your home tends to make a very important first impression so it should be warm, lively, and inviting. Eucalyptus, Orange, or Peppermint work well here, as do the soft notes of Lavender. A welcoming blend is a couple of drops of Eucalyptus mixed with Cedarwood to give a warm, comforting aroma to greet you as you step inside the door. 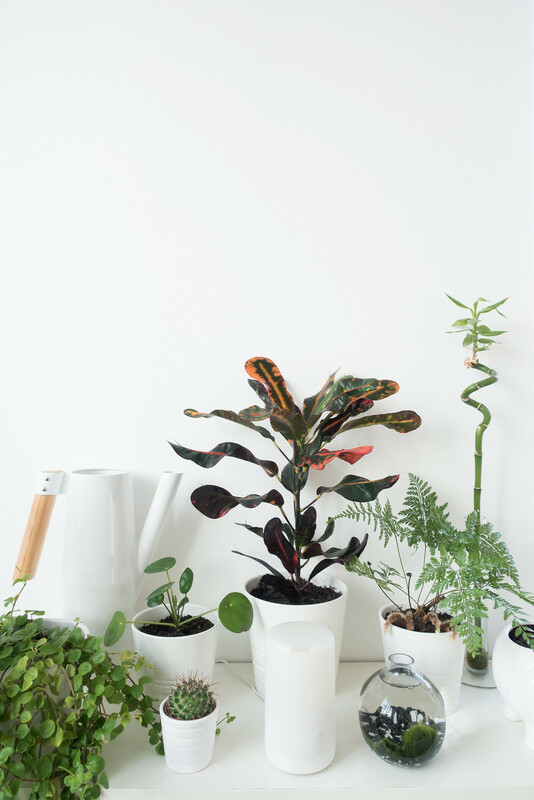 If you like the smell of a freshly cleaned bathroom, blend together a couple of drops of Peppermint and Tea Tree essential oils for a crisp, cool fragrance; Eucalyptus and Tea Tree would work just as well. Alternatively, citrus-scents suit bathrooms exceptionally well; blend together Lemon, Grapefruit, or Sweet Orange together with Bergamont for a refreshing fruity fragrance. Lavender is a classic choice for the bedroom, it has a naturally soothing effect which makes for the perfect night's sleep. Mixed together with Vetivert you can create a more sensuous blend with an distinctive earthy smell. Eucalyptus and Cedarwood works beautifully in the bedroom creating a subtle balmy, woody fragrance as does Lavender and Vetivert. The living room is a multi-purpose space and so your choice of essential oils should change depending on the mood and the occasion. For a subtle fragrance, choose Cedarwood, Bergamot, and Vetivert with a little citrus or herbaceous essential oil. If you want something fresher with more punch, blend together Mandarin or Sweet Orange with Bergamot; and if you're entertaining guests, Eucalyptus blended with Thyme, Cedarwood, and Vetivert creates a rich, woody, yet warm fragrance.